Land-locked and country-locked, it might surprise you that Umbria is greener than the rest of Italy. And while you’ll have heard of its beautifully preserved medieval hilltop towns, incredible scenery, which is often described as mystical or magical, and incredible art collections, you might not have heard people speak of it as the ‘old’ Italy, where traditions are at their strongest. Because, surprisingly, considering some of its show stopping towns and magical landscape, Umbria is relatively undiscovered. 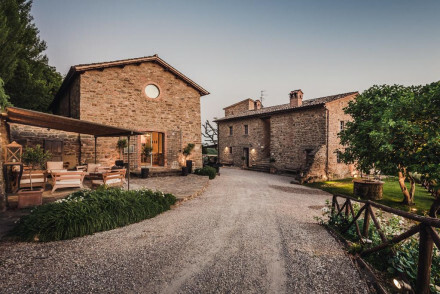 Our Guru’s recommendations for the best places to stay in Umbria include some wonderful old palazzos and country villas, and although unable to claim as many hotels and agriturismi as Tuscany, Umbria can generally be said to offer better value. Where to stay - which town or village? Capital of this region of medieval hilltop villages and the undulating hills they perch upon, Perugia is a glorious medieval hilltop village with a wonderfully historic centre, out of which emanates a tangle of cobbled alleyways where you’ll discover graceful squares, impressive galleries, hallowed churches and cafes and restaurants. 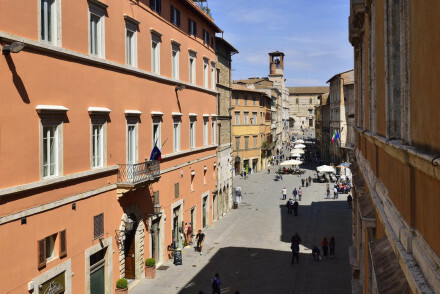 Renowned for its art and architecture, Perugia is also known for its chocolate. And its annual international jazz festival held in July - the juxtaposition of the jazz in these medieval surroundings is quite something. Perugia is also close to Lake Trasimeno, another of Umbria’s highlights, and an obvious magnet for sun-seekers during the summer. In a countryside dotted with astonishingly beautiful hilltop towns, Assisi stands out. Are its connections to St. Francis and St. Clare what make it so magical? Or did the heavenly appearance of this spot in particular, with its views over the surrounding plains, and Monte Subasio rising above, call out to those sensitive souls? Assisi has been an important pilgrimage site since the the 13th Century, when the Basilica of San Francesco was built over his earthly remains, so it can be quite busy. And to really experience Assisi's allure you need to see this place at dusk, when today's portion of the six million annual visitors and pilgrims has left and its pale stone glows an angelic rose colour. Norcia is off the beaten track, and built on a geological fault line surrounded by mountains. Due to its treacherous location, no building is allowed to be more than two storeys tall (since an 18th century edict), so the grandeur is displayed rather in terms of ornate balconies and delicate stone carvings. Gubbio is another small, medieval hilltop town, known for its history pre-dating the Roman era. There’s a charmingly basic cable car, some seriously impressive public buildings, a Roman Theatre, an ancient palace with impressive 15th century furnishings and a beautiful basilica. Gubbio also has an impressive museum. 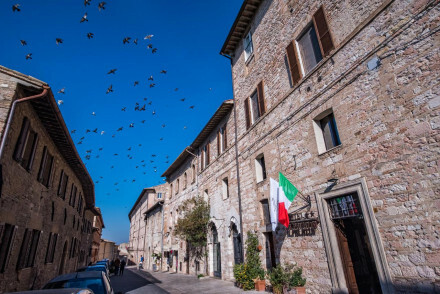 Tourists flock to see the world-famous sights in Assisi and Orvieto, but few explore the delightful medieval towns of Montefalco, Bevagna, Spello or Byron’s beloved, Trevi, or the stunning, remote upland plain known as the 'Piano Grand' near Castelluccio. Todi is another must see. 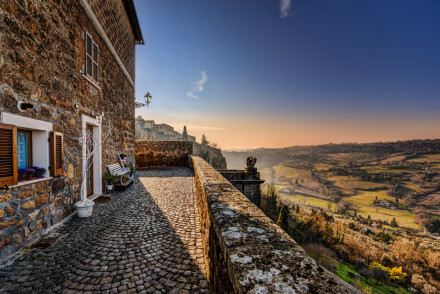 Steeped in history, it is the perfect example of an Italian hill town; think ancient buildings, stunning views and a reassuringly slow pace of life. The Food! It’s an obvious one to mention, but Umbria is well known for its fine cured meats, truffles, and the bold flavours of its wines. 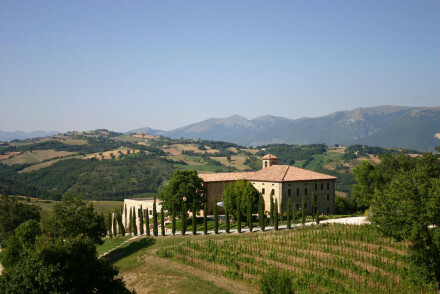 Montefalco is especially well known as a wine producing centre. The Art! If you’re here for the art then you’ll find several of the greatest treasures in Perugia’s Galleria Nazionale dell'Umbria, which spans history from the Byzantine flavoured 13th Century to Gothic and Renaissance works. Todi’s Palazzo dei Popolo is also an impressive Art Gallery - and a beautiful building. The Churches! The Duomo di Orvieto, is one of the few sights worthy of being called a 'feast for the eyes'. It took 30 years to complete the building's planning, and another couple of centuries to actually finish, during which time the originally Romanesque design took on a more Gothic shape as the architects, workmen and styles changed. Assisi’s Basilica of San Francesco has been a pilgrimage site since it was built in the 13th century: this is where Saint Francis rests, underneath the wonderful Giotto school frescoes. At St. Clare's Basilica you can see the original crucifix which spoke to St. Francis. Though the church of Santa Maria Sopra Minerva is probably Assisi’s oldest. In Perugia the Basilica de San Pietro is the sort of spectacular church you’ll be used to seeing in Umbria, a grand 10th Century mix of gilt and marble. And Spello has a number of visit-worthy medieval churches. The Frescos! Orvieto has The Last Judgement by Luca Signorelli, which was said to be an inspiration for Michelangelo's Sistine Chapel. Apparently part of Signorelli's payment for the work was as much local wine as he could drink! 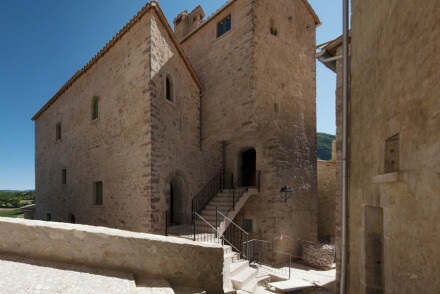 Montone has an important collection in its 14th century, Gothic San Francesco church. As well as wine, Montefalco, has several noteworthy frescos in the Cheese Sant’Agostino, and just outside the town is the Convento di San Fortunato, which has some very highly regarded frescos by Benozzo Gozzoli. And Spello has some beautifully preserved works by Il Pinturicchio. Close to Perugia, beautiful Lake Trasimeno is an obvious magnet for sun-seekers during the summer. Orvieto's underground cave system: there are around 440 caves in the system, used by locals as shelter, refrigerator, wells and even as a dovecote. If you’re interested in the architecture then Perugia’s Palazzo dei Priori is a ‘must-see’, a Gothic palace with details more usually seen on a fortress, and ornamentation more usually reserved for churches or cathedrals. If you’re here during May or June your trip might coincide with Spello’s wonderful Infiorata flower festival when all the streets are covered with intricate flower designs. Gubbio’s tiny funicular is definitely a memorable experience. Don't forget that this charming region gets extremely busy during the peak summer months. So if you want to guarantee a room in one of the best places to stay in Umbria, get organised and book well ahead. 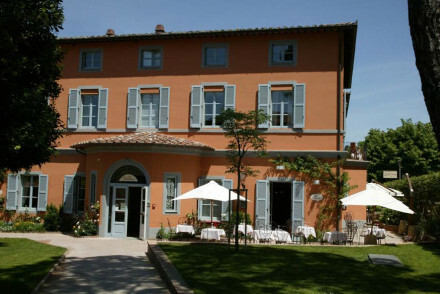 Le Tre Vaselle is a beautiful five star hotel with a fabulous Italian restaurant and a weekly Italian cookery course. Plus, there's a beautiful pool, a spa and an impressive wine cellar. 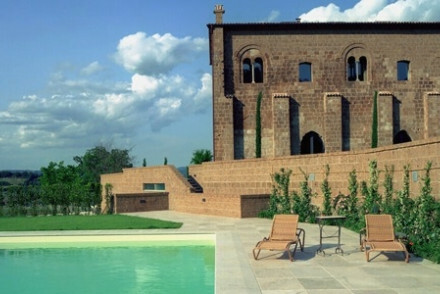 The Castello dell'Oscano is a medieval castle converted into a 37 room hotel. The decor is traditional and the interiors wonderfully historic. There is a top restaurant and lovely grounds with a pool and horse riding facilities. 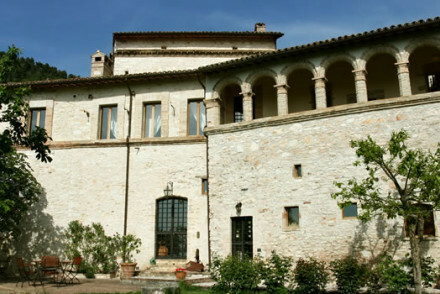 San Crispino Residence is a delightful spot, set in an impressive castle in the centre of Assisi. Offering seven elegant rooms complete with frescoes, antiques and stone interiors, it's the ideal retreat for a romantic getaway. 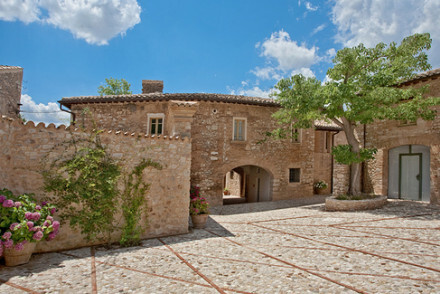 Castello Di Petrata is a wonderful rustic stone country house just outside Assisi. The traditional rooms feature wooden beams and wrought iron beds, and there’s a spoiling spa. 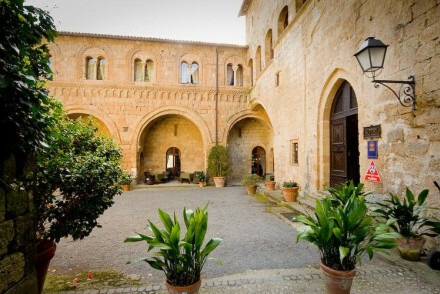 Very close to the town centre, La Badia is an historic abbey, with origins in the 6th century, turned country hotel. The spacious, air conditioned rooms are adorned with period features and antique furniture, many with views of the Umbrian countryside. The restaurant offers good local wines and authentic Italian cuisine. A unique country retreat. Locanda Palazzone has all the charms you'd hope to find in a rustic, but gorgeous Umbrian country house. The food is excellent, the views are perfect, and the range of accommodations, from suites to rooms to apartments, makes this an easy and comfortable spot for families and groups. The Palazzo Seneca is owned and run by the Bianconi family who have been in the hospitality business in Norcia since 1850. 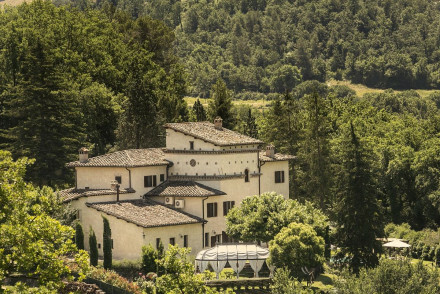 This historic 16th century palazzo has been comprehensively (and tastefully) restored and now offers tradtional character with contemporary requirements including top notch spa and luxury as standard. Food too is excellent. Another offering from the Bianconi stable in Norcia, the Grotta Azzurra is a totally different proposition. This is a simple, family run hotel in the centre of town. Rooms are traditional and plain, but many have balconies with lovely views. The restaurant is superb, serving the local delicacies including black truffles and cured ham. But the best thing is probably the price - doubles start from only €65 per night B&B! 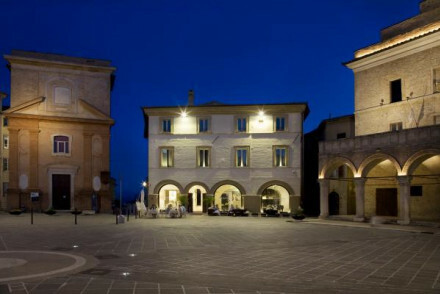 San Lorenzo Tre is an elegant, family-run B&B in Todi’s main piazza. There are just six traditionally decorated rooms and a number of living spaces, plus very friendly service. 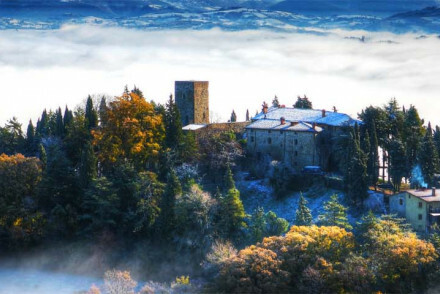 Torre Sangiovanni is a small, yet fabulous, castle renovation with nine B&B rooms and magnificent views. 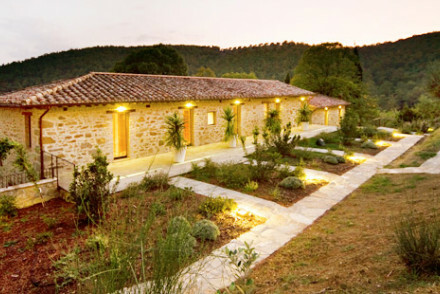 There’s a choice of family rooms and apartments, as well as regular rooms, and all of them have wooden beams, stone floors and wrought iron beds. 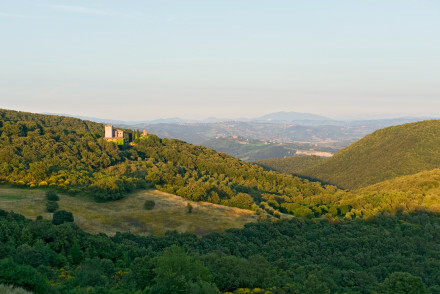 A medieval hilltop castle, Castello di Petroia has views over all of Umbria. And much of the region you see when you peer from your tower bedroom belongs to the castle - they have 900 acres. Inside you'll find elegant bedrooms, four poster beds and hot tubs. 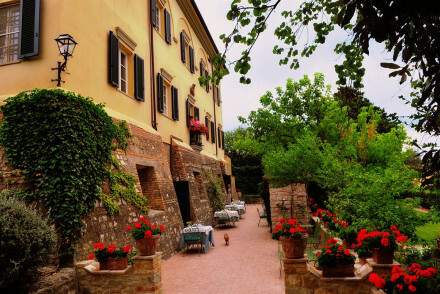 A farmhouse, a castle and now a rambling 17th Century palazzo, L’Orto degli Angeli is a beautiful and romantic place to stay, full of wonderful old antiques and art, and surrounded by lush gardens. You’re close to Assisi too. 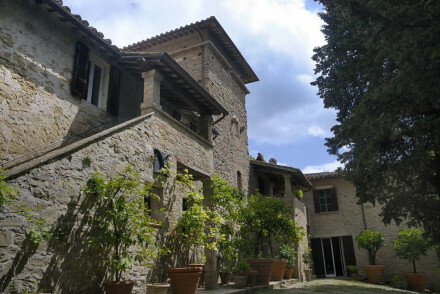 Originally a Cardinal's house, the elegant Palazzo Bontadosi is just off the main square of Montefalco, a lovely hilltop village just outside Assisi. This property has some wonderful original frescos, as well as a well equipped spa with an indoor saltwater pool. The Castello di Monterone is a 14th Century castle with 18 stylish rooms overlooking the beautifully undulating Umbrian countryside. There’s a hammam where you can have a massage, a fabulous pool and private cooking lessons are also available. Le Silve is an old farmhouse converted into a stylish country house hotel. As well as being situated above Assisi it's also just above the national park, so the views from the terrace are incredible. There's a tennis court and mini golf onsite, so this is one of the best places to stay in Assisi, if you're planning a more active break. They also offer cooking lessons. If you're looking for a remote, peaceful base not far from Orvieto, you will find nowhere more perfect than the Eremito Hotelito del Alma. The vibe here is monastic, yet comfortable. There's a heated pool and steam room, hewn directly from the stone of the mountain, where you can relax with the calming music of Gregorian chants. The food (vegetarian set menu) is largely home grown and the whole property has around 7000 largely untouched acres. Really something special. Le Logge di Silvignano is a small hotel with both rooms and self-catering apartments, converted from a charming medieval building complete with an impressive tower. The sprawling gardens grown olive trees and roses and a whole host of herbs, plus there’s a lovely pool and a range of hotel-run wine and food related excursions. 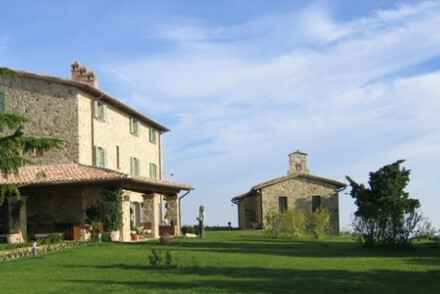 The Agriturismo la Ghirlanda is a lovely country house hotel with 13 rooms, a quiet location, and great food and wine. The decor is rustic - think terracotta floors and wrought iron furniture, and the gardens are lush and lovely. The castle-like Relais Il Canalicchio enjoys a wonderfully rural location, set atop a hill and offering splendid valley views. Stay in traditional yet chic accommodation. Suites and apartments are also available. You can tuck into fantastic local cuisine. With tennis courts, a pool and a spa, it's a top country retreat. 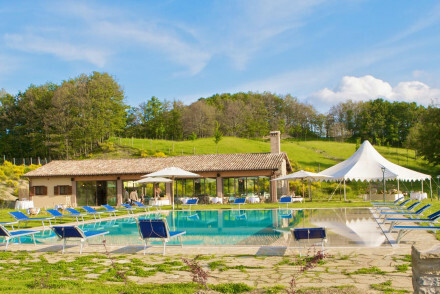 Slow Life Umbria - Relais de Charme, amongst rolling hills and green valleys, offers modern, minimalist accommodation belying its rustic exterior, and a lovely outdoor pool. Locanda De Gallo is a secluded country house offering smart, colourful rustic rooms. Spend your days out by the pool soaking up the sun or go on long walks around the area. 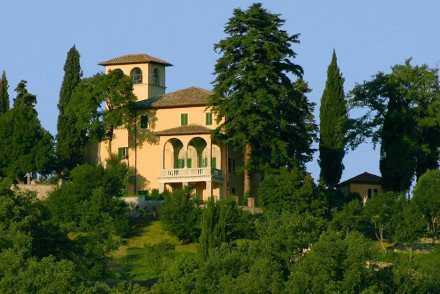 Close to Perugia, the castle-like Relais Il Canalicchio is in a great hilltop spot with wonderful valley views. The 47 rooms, suites and apartments are chic, yet traditional. The restaurant offers fantastic local cuisine and there are tennis courts, a pol and a spa. The Agriturismo le Cinciallegre is a collection of seven charming rooms and apartments with a rustic feel and lovely garden views. The restaurant opens out onto a lovely terraces and serves excellent, traditional fare. Rooms start from around £30 per night. 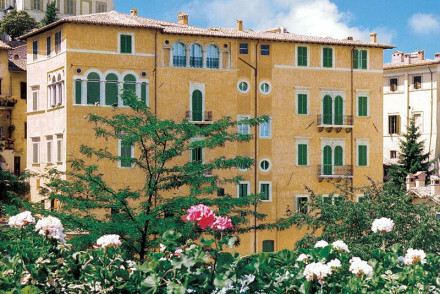 The Relais Ducale in Gubbio, north of Perugia, is a 30 room rustic charmer in a great location close to the heart of town. The bar is elegant and intimate and there’s a glorious sun terrace and gardens. Rooms start from around £70 per night. Umbria’s international airport, the Aeroporto International dell’Umbria, Perugia, is midway between Perugia and Assisi, and is served by a handful of international carriers. The next closest airport, Florence’s Amerigo Vespucci, is convenient for northern Umbria, or you might fly into Pisa, the Aeroporto di Pisa, which is served by a greater range of carriers but requires a bit more travel once you enter Italy. If you want to hire a car - which we strongly advise if you’re staying in Umbria and want to see the region's many treasures - we recommend you visit our online partner, Rentalcars. May is particularly beautiful, when the weather is balmy and the wildflowers out. Easter is wonderful but busy. September and October are also dry and sunny, but the hills will be less green. Like its neighbour Tuscany, Umbria is busiest in summer, so if you can visit in either spring or autumn you’ll have a quieter, and probably, more pleasant visit. Charming hotel and apartments in countryside. Rooms are rustic with mahogany furniture, lace furnishings and garden views. Apartments have kitchens and living areas. Gardens, terrace and lovely restaurant offering traditional regional fare. Excellent value. A rustic hotel set in a medieval building and tower. 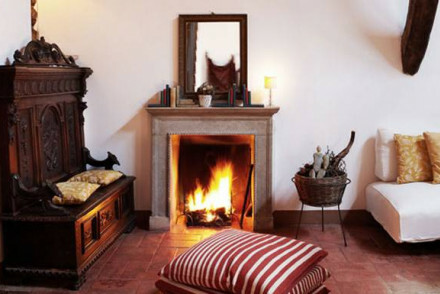 Romantic bedrooms and suites, kitchens, and living rooms with cosy fireplaces. Sprawling gardens have herb plants, olive trees and roses, and a pool. Plenty of wine and food related excursions. A great choice for families or foodies. A gorgeous medieval townhouse just opposite the cathedral, with sophisticated interiors featuring polished marble floors, statues and comfy furniture. Fresh, light rooms have great views and antique-style handpainted details add character to the simple contemporary backdrop. Warm and welcoming town hotel with a long family heritage - a quintessential Italian family-owned stay. Charmingly old-fashioned rooms with balconies and views of the mountains. Fantastic restaurant and plenty of activities to keep all entertained. 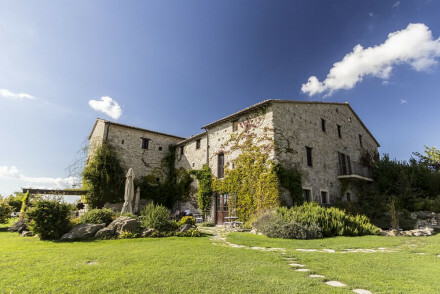 A well priced base to explore Umbria. 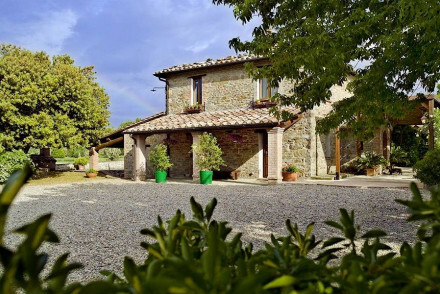 A charming 'agriturismo' in a beautiful green area of Umbria. Simple rooms are traditionally styled with exposed stone walls, terracotta tiled floors and cast iron beds. A large pool, bowling green, fantastic food and tranquil spots to curl up with a book make this a tough place to leave. Hideaway - A quiet abode with fabulous food, fantastic views and friendly hosts. Great walks - The 'green belt of Italy' offers plenty of scope for walking. A lovely townhouse B&B set on a hill, offering wonderful views over the town and countryside. There are either double rooms or suites with kitchenettes, all decorated in an elegant rustic-chic style, with a pastel palette and pretty, feminine antiques and floral fabrics. A romantic, cosy base. 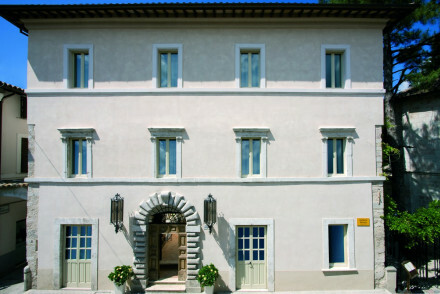 An elegant family run B&B in Todi's main Piazza. Charm and tradition decorate the walls of six bedrooms and faded living areas. Very friendly service, excellent value, a low key base to explore the surroundings from. 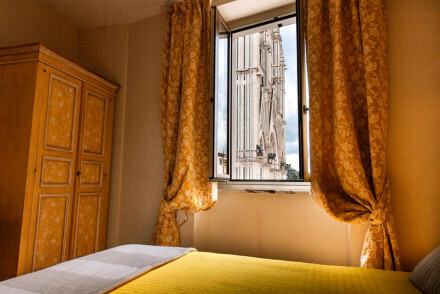 A traditional hotel set in a 15th century building overlooking Il Duomo. Large, elegant rooms in classical style. Stunning views across the town from balconies, frescoes within and traditional Italian cuisine. A perfect choice for a families or couple's weekend exploring. Country Escape - Hotel organises walking tours, from discovering villages and castles, to following ancient railway between Spoleto and Norcia. Local exploring - Spoleto hosts Il Duomo, Church of St Peter and La Rocca Albornoziana, as well as Assisi, Spello, Todi, and Perugia nearby. Sights nearby - Santa Maria della Manna d'Oro, Rocca Albornoziana, Spoleto Roman Amphitheater, Tower's Bridge and Cathedral of S. Maria Assunta. Authentic city centre hotel. Rooms are rustic with exposed stone walls, wooden floors and opulent drapes. Elegant and intimate bar, sun terrace and gardens. Walking distance to the city's sights. Romantic and welcoming. A splendid monastery conversion surrounded by gardens with a pool. The real draw is the large and elegant spa, while interiors are refined and simple, with fresh bare stone and chic furniture. Classic rooms have fine wooden bedsteads and luxurious bathrooms. The fresh, organic cuisine is a treat. 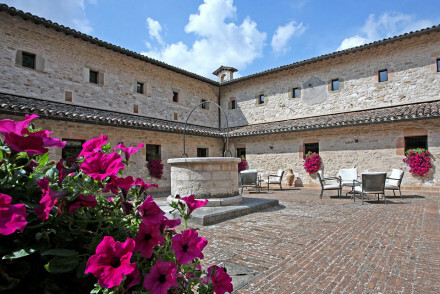 This hotel is set in the 16th-century Palazzo Bartocci Fontana in Assisi. Rooms are modern and stylish, with unfussy interior design allowing the heritage features to speak for themselves; the best suites feature original frescoes, while the breakfast room boasts a vaulted ceiling. A charming hotel. 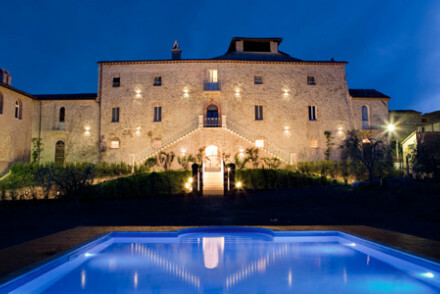 Fabulous castle renovation B&B with an excellent Umbrian restaurant. Magnificent views from its hilltop perch seen from rose covered terraces. Traditional rooms, family rooms and apartments have wooden beams, stone floors and wrought iron beds. A fantastic country escape. 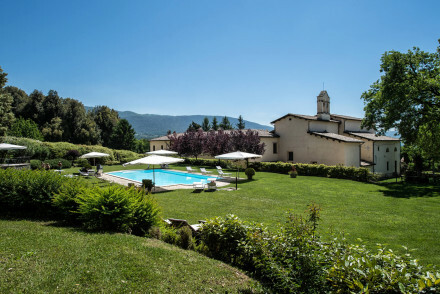 A converted Umbrian convent with every luxury. A fabulous position with gardens, pool, fitness and wellbeing centre. A small resort in itself offering a superb location for family holidays, weddings or business meetings. The rooms are elegantly decorated and furnished in traditional style. Sights nearby - Todi, Assisi, Spello and Terniare all nearby. 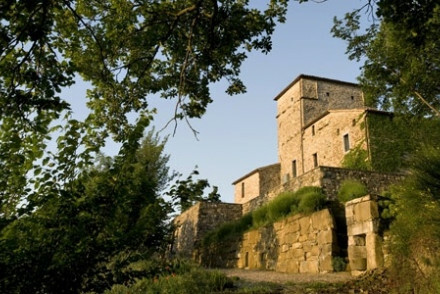 Go back in time in this Medieval Castle set in the Umbrian hills. Steeped in history with plush, antique decors to match. The restaurant serves traditional local cuisine, some from the organic vegetable plot. There is a well stocked library, expansive grounds a pool and horse riding facilities. Local markets - This region is famed for its food and Ponte San Giovanni is one of the largest markets in the area. Sights nearby - The Palazzo dei Priori, a Gothic Palace, houses the region's best collection of Umbrian artwork. Grey shuttered hotel in attractive grounds in a bustling market town. Rooms consist of traditional and contemporary interior design. Lovely sun deck, plunge pool and spa facilities, elegant restaurant serving regional dishes. A lovely spot to explore the local surroundings from. Local markets - Ask at recepetion when the local markets are taking place. They are a great insight into local life. Sights nearby - Explore Citta’ della Pieve. Rustic meets chic in a glorious rural setting. White washed walls, stone floors, colourful ceramics and fabrics. Relax at the Zen spa and pool with valley views. Enjoy the local cuisine and wine at the restaurant. A great place to relax and unwind. The independent cottages are perfect for families. Cooking classes - On request. 17th Century Palazzo converted to a stunning hotel. Romantic bedrooms with four-poster beds, wooden beams, beautiful antiques and pictures. Wonderful gardens offer organic produce to the Umbrian restaurant, which is in part of an ancient Roman amphitheatre. A romantic and intimate spot. Local markets - The summer months see a hive of activity flourish. Be sure to check what is on during your stay. Cooking classes - Learn the authethic Umbrian flavours from the chefs at the hotel. Great walks - Amongst the vineyards. 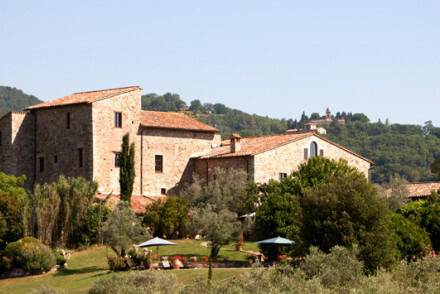 Ancient Umbrian farmhouse turned family-run hotel in the green valleys of Assisi. Cozy rustic rooms showcase stonewalls, wooden beams and fireplaces. Enjoy traditional dishes al fresco; relax by the pool or with an in-room massage. A hideaway gem we wish we could keep a secret, but it's too good! Cooking classes - Culinary courses that will take you through the preparation of traditional Umbrian dishes. Great walks - Let the resident enthusiast point you in the right direction. Swimming Pool - Outdoor pool with views. 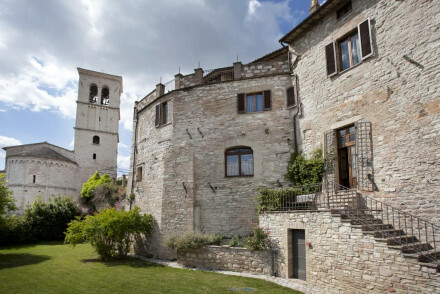 This pretty B&B is located in a former mill on the historic wall of Todi. The individually styled rooms are bright and modern, with rustic touches adding a homely feel. Guests love the sink-in beds which guarantee a good night's rest. Enjoy a delicious home-cooked meal al fresco; a charming hotel. 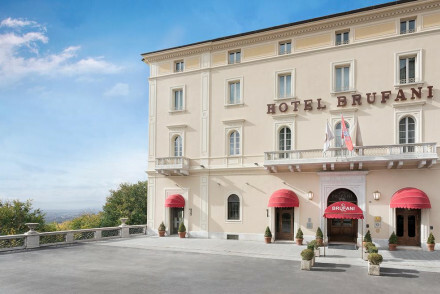 An enchanting hotel in the centre of Assisi, bristling with charm and character. The rich history of the area is reflected in the beautiful frescoes, antique furniture and traditional stone interiors. The place to stay if you want to unlock this fascinating little Umbrian town. 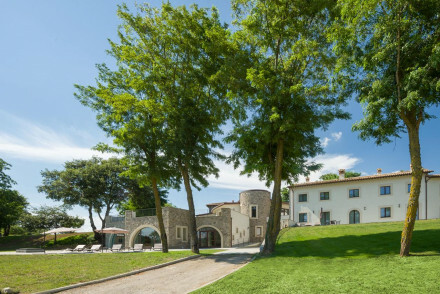 Romantic Break - A unique and beautifully restored mansion, with traditional stone and wood interiors, frescoes and views over the city. 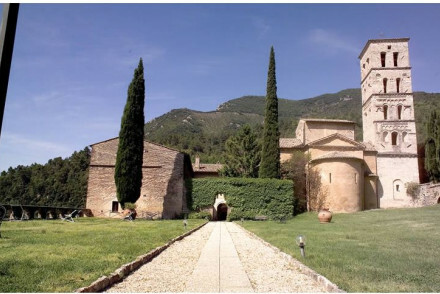 Sights nearby - Assisi has a great religious history so why not visit the Basilica of Saint Clare and the Basilica di San Francesco. Local markets - Head out and explore the bustling markets of Assisi. 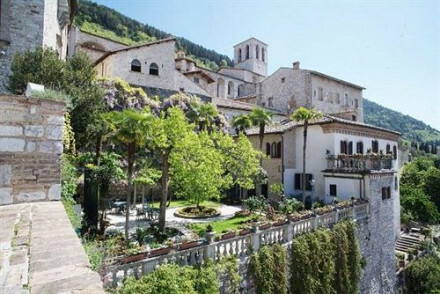 Restored hamlet turned country house hotel within striking distance of historic Gubbio. Carefully restored rooms and suites feature wooden floors, beamed ceilings and stylish furnishings. Wonderful infinity pool with country views. Perfect for getting away from it all! Spa - Not strictly a spa - a gazebo for outdoor wellness treatments! A medieval castle in a spectacular setting with views over its 900 acre estate. Delicious candlelit dinners, long walks through parkland, elegant bedrooms and suites with four poster beds and private hot tubs. Special, secluded, and great for a private party. Views - Fabulous hilltop views over the 900 acre estate. Liberty-style villa with extensive grounds and a sense of history. The excellent restaurant serves traditional Umbrian cuisine and has spectacular panoramic views. Basic but freshly decorated rooms and a beautiful dining room. A peaceful spot to soak in the beautiful surroundings. Local exploring - A charming base for exploring the surrounding area or just chilling by the pool! Lovely country house hotel. Rooms feature terracotta floors, wrought iron furniture and traditional rustic fabrics. Outdoor pool, gardens and sun terrace. Excellent Umbrian cuisine and superb wine list. Quiet location and good value, perfect for groups or families. A gorgeous pale-stone Abbey in a truly stunning hillside location – a country escape steeped in history but with all the comforts of a hotel. 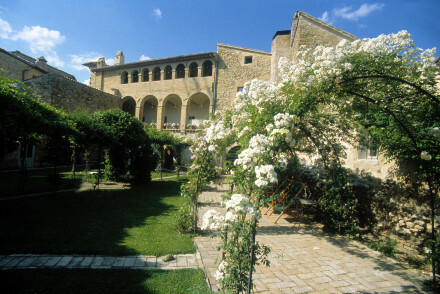 Beautiful cloisters, traditional rooms and family suites with Benedictine origins - stone floors, wooden beams, paintings - great food and lovely gardens. A beautiful Umbrian country house surrounded by vineyards, olive groves, and lemon trees. Romantic rooms and suites have four poster beds and luxurious, but traditional furnishings. 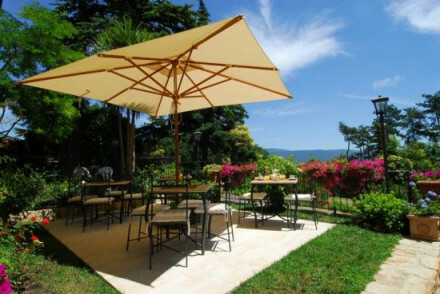 Excellent wine cellar, a renowned Italian restaurant, and stunning gardens with a pool. Spectacular, family friendly. Foodies - One of the best restaurants in Italy. Cooking classes - For children. Rustic chic luxury in this renovated farmhouse in the countryside. Beautifully decorated rooms and apartments in neutral tones with four poster beds and elegant furniture. Swimming pool, sauna, and local cuisine from terraces. A great choice for a romantic holiday, very family friendly too. 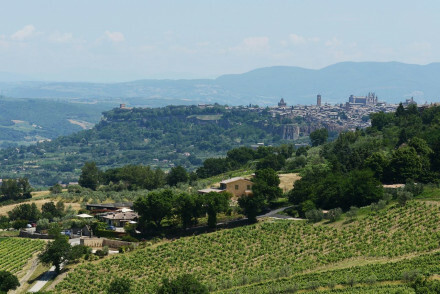 Sights nearby - Spoleto is just 10 mins away, or further afield is Orvieto (an hour). 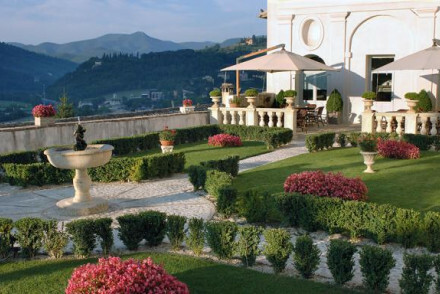 An elegant and sophisticated Umbrian palace in a hilltop town. Traditional rooms have killim rugs, exposed wooden beams and iron bedsteads. Beautiful gardens with box hedges to have breakfast in, stunning public areas with original frescoed ceilings. A romantic choice for local exploring. Time appears to have stopped in the medieval village of Montone. 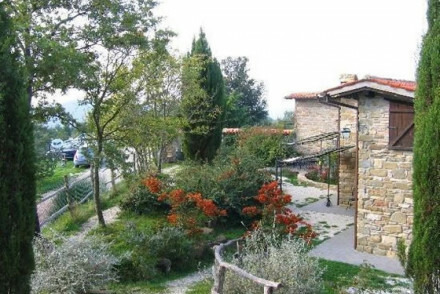 Located on a hilltop with far reaching views of the Umbrian countryside. Rooms feature wrought iron beds and are filled with antiques. With chef Giancarlo Polito behind the helm, the cuisine is what shines at this property. 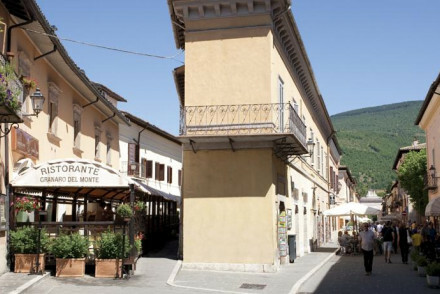 Local markets - 'Palazzo della Prefettura' runs during the summer months. Cooking classes - Have a lesson in the kitchen with Giancarlo Polito. Sights nearby - Tuscany is within easy reach. A lovely vineyard resort with a choice of indoor and outdoor pools as well as an indulgent on-site spa. Interiors are unfussy and fresh, exuding simple elegance. Rooms are similarly smart, with sink-into beds and great views. The restaurant serving regional Umbrian cuisine is a real highlight. 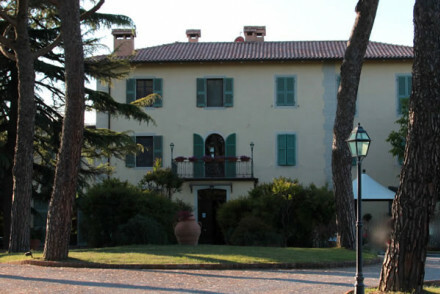 This elegant hotel occupies a historic residence in the town of San Martino in Campo. Guestrooms are located in two interconnected villas and feature classic interior design and heritage details; the best suites offer multiple rooms with original door and ceiling frescoes. A stately country retreat. A Five Star hotel set in a 12th century country house. Large rooms filled with antique furniture and textiles, frescoes and stone walls. Stunning views of Umbria. Excellent restaurant, wine cellar, pool and spa offer relaxation. A romantic spot for couples with all the facilities. 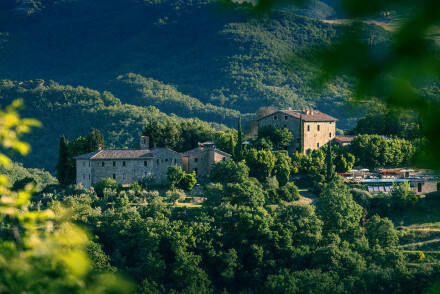 Gorgeous rustic-style hotel surrounded by lush gardens with two lovely pools and a great onsite restaurant featuring seasonal Umbrian specialities. Rooms are either modern and smart or rustic-medieval in style, some with terraces and all with lovely comfy beds. A truly bucolic base! A large, 17th-century converted monastery housing a restaurant and spa, with great views and gardens. Smart interiors are elegant with classic paintings, tapestries and modern furniture. The fine rooms vary, some sumptuous with four posters and others stylishly simple. A delight! Art nouveau villa set in a park of lawns and olive trees. Rustic, romantically decorated rooms infused with the owner's passion for painting, poetry and music. An excellent restaurant and a small spa. A characterful country escape for romantics and local explorers. Total relaxation - Tuscan retreat offering elegant suites with four-poster beds and claw-footed tubs plus a relaxtion zone with sauna and hot tub. Country Escape - Beautifully restored country house nestled in olive groves and fragrant gardens, with al fresco dining overlooking the lake. Cooking classes - Learn to whip up your favouirte Tuscan dishes with the phenomenal in house chef. Fishing - Head out on Trasimeno lake with local fishermen to show you the ropes. 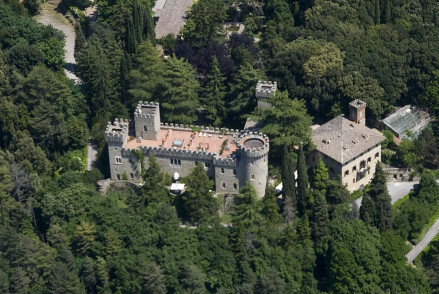 A 14th century castle located atop the Umbrian hills and rolling countryside. There is indoor and outdoor dining and a locally sourced menu. Stylish rooms ooze period charm: arched windows, exposed stone, four poster beds and whitewashed decor. There is a pool, hammam and massage available. Cooking classes - Learn the local cooking traditions with a private cooking class. Sights nearby - The Basilica di San Francesco is a must see. Superb sympathetic restoration of an ancient Umbrian village. The property has been hauled into the twenty first century but has not lost any of its former charms including original frescoes in the mediaeval chapel. Come here for total relaxation combined with luxury and sophistication. A beautiful Five Star hotel set in an historic country house. Romantic rooms are large with wooden floors, pretty bathrooms and chic textiles. 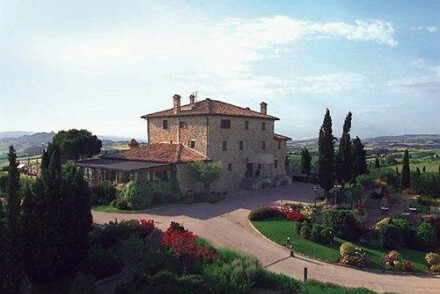 Fabulous Italian restaurant and weekly cookery course, extensive spa, and wine cellars. Romantic, gourmet, pampering and informative. Very peaceful, very secluded. A country house that offers complete peace and quiet surrounded by lovely gardens. Excellent organic food, cooking lessons, wellness area, and rustic rooms with no modern amenities. A nature lovers spot. 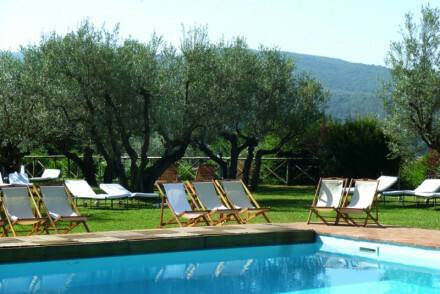 A tranquil Umbrian farmhouse surrounded by idyllic rolling gardens with an outdoor pool. Bare, stone slabbed interiors are fresh with a timeless, simple elegance, while rooms are similar in style with a subdued palette and some with fine Persian rugs. A sophisticated choice for a rural retreat. 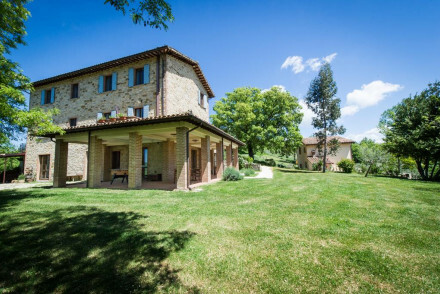 Secluded luxury serviced villas on a private estate, with fabulous views, in an off the beaten track area of Umbria, Well placed for cultural excursions to Todi, Assisi and Cortona, with private pools and lovely gardens. A smart and refined country house hotel with designer food and a fabulous spa. Romantic bedrooms and suites have soft lighting, neutral tones, and sumptuous beds. A lovely pool, bikes to rent, and a spa to relax in. Gourmet relaxation in beautiful surroundings. Gourmet - Fantastically curated food and 380 wines to choose from. This exclusive resort is nestled in the Umbrian countryside. Rooms are traditionally dressed with antique furniture to complement the property's heritage features; the best suite has an intimate private terrace. Unwind by the pretty outdoor pool or in the gardens. A tranquil escape to the country. An old stone-built farmhouse with terracotta tiling serves as a hideaway resort seductively perched in a hilltop village. The rooms have a rustic aesthetic with tiled flooring and wooden beams. An array of spa facilities are on offer and the traditional dining are a real draw. 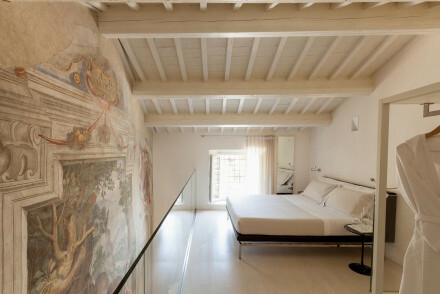 A gorgeous Perugian townhouse hotel with original ceiling frescoes and smart interiors offering fresh, tasty breakfasts. Rooms are chic and minimal in a calm neutral palette, featuring comfortable beds and tasteful fittings. A great city bolthole popular with couples. A gorgeous setting just outside Perugia. Rolling hills, green valleys, and dramatic landscapes provide a backdrop to this contemporary creation. 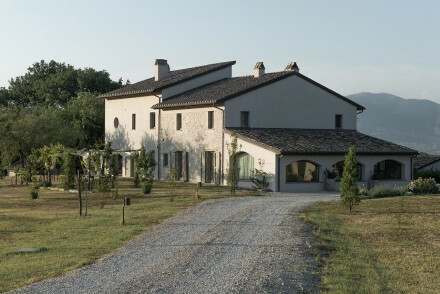 Modern interiors compliment this traditional Italian farmhouse. Wonderfully simple fresh cuisine, pool, yoga, thai chi. A refreshing choice. Traditional - A 17th century farmhouse just outiside Perugia. Former Cardinal's house, now elegant townhouse in a hilltop village with a great spa. Original frescoes adorn the ceilings of traditional and elegant rooms and suites. Excellent restaurant and terrace, and the well equipped spa has an indoor salt water pool. A lovely 16th-century farmhouse surrounded by lush gardens, with rooms set around a leafy and fresh central courtyard creating a feeling of privacy. Each room is individually decorated some more classically romantic and others more modern and minimal. A truly bucolic rural getaway! Ancient water tower looks over immaculate gardens, valleys of olive and fruit trees and the medieval town of Todi. Rooms are stylish, cuisine is traditional Umbrian and the pool comes with a view. Sophisticated, welcoming and beautiful - a great choice for a romantic escape in an unrivaled setting. Great walks - Explore the olive groves and fruit orchards at dusk or dawn for some tranquil stolls. 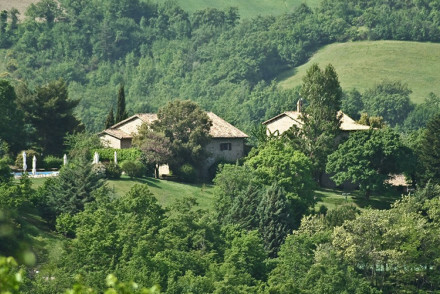 Views - Panoramic views of Corbara Lake, Todi and the surrounding hills. Sights nearby - Explore the medieval hilltown of Todi. This five-star resort and spa is nestled in the Umbrian countryside. The well-appointed rooms are spread across three traditional buildings. Rooms are inspired by classic design and feature luxury fabrics; the best suites have a private terrace. Book into the serene hotel spa; an indulgent resort. An attractive country house in the foothills and not far from Lake Trasimento. 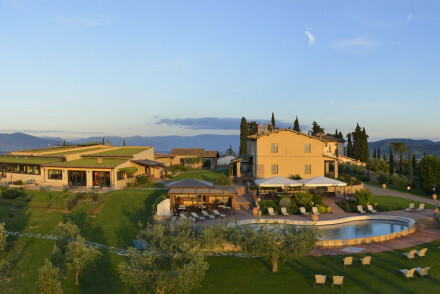 Set amongst woods, olive trees, and grasslands, the hotel has wonderful panoramic views. Cosy rooms, suites, and a few apartments all decorated with traditional elegance. Excellent Umbrian restaurant and wine cellar. Views - Surrounded by woods with views over the hills surrounding Lake Trasimeno. Sights nearby - Città della Pieve, Siena, Perugia, Cortona, Montepulciano, Pienza and Assisi. Gorgeous rustic country house with excellent food and lovely views. Various rooms, suites, family rooms and apartments, all simply designed, cater to families, friends, and couples. Swimming pool, terraces, and five course set dinners. A very bucolic spot. Historic abbey, with origins in the 6th century, turned country hotel. Spacious, air conditioned rooms adorned with period features and antique furniture, many with views of the Umbrian countryside. The restaurant offers good local wines and authentic Italian cuisine. A unique country retreat. Sights nearby - Orvieto is very close by. Also easy to reach are Todi, Perugia, Assisi and Gubbio. Secluded, rural, and intimate country house with beautiful views over the valley. Polished bedrooms and suites combine original elements - exposed brick, wooden beams, four poster bed - with modern amenities and neutral tones. Fantastic home-cooked food, art classes, and a pool. Rural relaxation. Foodies - Delicious home-cooked four course dinners. 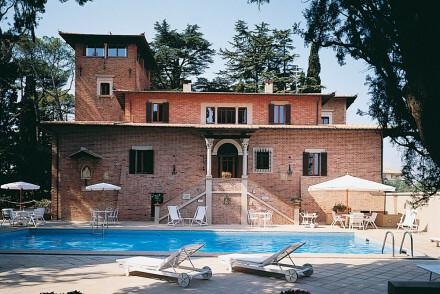 This spa resort is the largest in Umbria, located close to Perugia. Rooms are dressed in a traditional Umbrian style with wooden floors, tiles and exposed beams; the best suites offer a private indoor pool and living area. Indulge at the luxury hotel spa before dining at the restaurant. A VIP hotel. 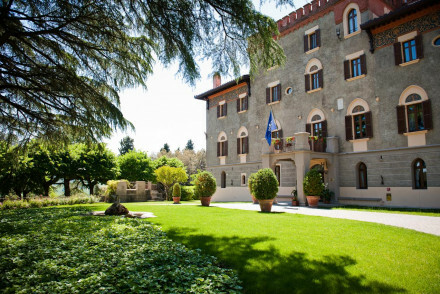 This luxury hotel is the only five-star guesthouse in Perugia. Rooms nod to the property's aristocratic past with classic interior design and luxury fabrics; the best suite offers multiple rooms and a private terrace. Eat at the refined hotel restaurant before booking into the spa; an elegant stay. A glorious Umbrian hotel set in an old palazzo. Traditional family-run hospitality melded with modern requirements. A fine restaurant, romantic rooms with four-poster beds, excellent spa and pool. An indulgent spot with bags of character. Romantic Break - A suave 16th-century Palazzo for a grown up getaway with palatial fourposter beds, fantastic spa and an indulgent restaurant. Local exploring - This stunning Umbrian landscape boasts fantastic walking where you might spot snow marten, red deer, and golden eagles. Beautiful country house spa hotel with excellent views. Contemporary elegant rooms, suites and an apartment with white washed walls, modern four poster beds, and private balconies. Fantastically equipped spa, swimming pool, and lovely restaurant. Romantic, family friendly, spa focused. 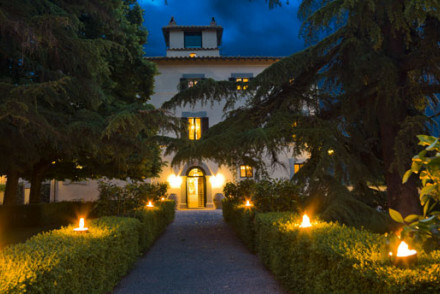 This luxury hotel is nestled on a country estate in Umbria. Rooms are modern and dressed in an earthy palette; the best suites boast original heritage features such as open fireplaces and frescoes. Choose between the two restaurants or the lounge bar before a spa treatment. A luxury country escape. Rustic country house in 25 acres of olive groves. 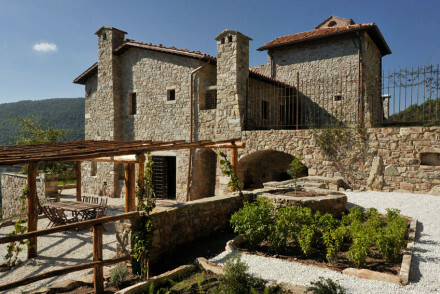 Interiors feature exposed stone walls, terracotta floors and views over the Umbrian hills. Outdoor pool and gardens. Award winning vegetarian cuisine in the restaurant. Indulgent, secluded and charming. A medieval watch tower renovated with minimalistic flair. Panoramic views from every room and suite, all with exposed stone work, fire places and white washed walls. An ideal spot for a house party, romantic retreat or a wedding. Unusual - Medieval watch tower renovation. Spa - Offers treatments dating back to pre-roman times! An estate comprised of 5 houses for guests, complete with elegant sitting rooms and kitchens and surrounded by lush gardens with a natural pool and woodland. Interiors beautifully complement the rustic architecture with fine wood furniture and gorgeous rugs, and the excellent cuisine is a highlight! 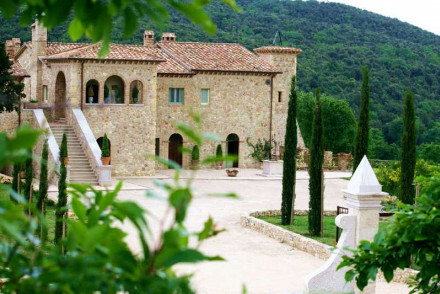 A calm and serene country escape, just outside Assisi. Rooms feature wooden beam ceilings and wrought iron beds, with all modern comforts. Relax and unwind at the exclusive spa, or a by the pool. The restaurant serves mouthwatering regional cuisine with a view, in the lovely gardens. Bliss! Families - There are plenty of recreational activities for children like target bow and cross bow shooting as well as a tennis court. Active Holiday - An array of activities outdoors like trekking, mountain biking, climbing and paragliding are available nearby. Country Escape - A country style hotel surrounded by beautiful landscapes - gardens, orchards, olive groves and forests. Cooking classes - Classes are held in the restaurant by the fantastic in house chef. 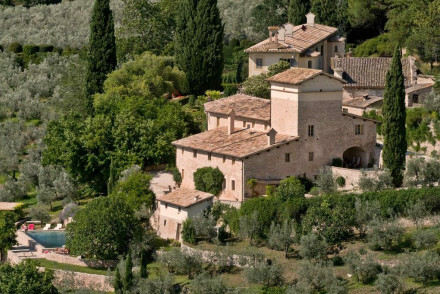 This five-star hotel is housed in a 13th-century monastery in Assisi, Umbria. Suites have elegant, modern interior design; the best feature original frescoes and exposed stone walls. Eat at the gourmet restaurant, headed by Emanuele Mazzella, before a drink at the cosy bar; a unique heritage hotel.